"A CHILD IN A CURIOUS PHASE, A MAN WITH SULLEN WAYS"
My gorgeously sunny Sunday afternoon of May 9th was spent in line at the Pacific Place Mall here in Seattle at the Seattle International Film Festival's storefront (yes, film festival is apparently much bigger business here than in little Portland) purchasing advance tickets to my chosen festival selections. It was the first day tickets were on sale to the general public, and I showed up at a quarter ?til noon, confident that I'd be part of a short line, if any. It turns out that I'm only a tiny part of a very frantic general public, however. I arrived clutching my little list of codes for the screenings I wished, only to have to walk past at least fifty people who showed up ahead of me. My wait just flew by, though; between filling out the very confusing, inconvenient, and rather unnecessary purchase-order form and having a discussion with the nice dilettante suburban couple directly in front of me ("I'm just so used to seeing things from an American perspective," the man says before calling My Big Fat Greek Wedding "ethnic" without even the tiniest hint of irony), I was ready to present my credit card as I arrived at the front of the line. Unfortunately, the part of the line that was allowed into the Film Fest Shop moved at a rate of approximately five minutes per ticket-buyer, so it was nearly 1:00 before I arrived at the front of the line, sweaty, anxious, and overcaffeinated (I'd chugged a venti mocha not long before), sure that all my picks would be sold out. But it was all worth it. The very friendly and accommodating clerk tapped my order in, printed my tickets out, chatted me up very pleasantly, and assured me that there were plenty of tickets left for everything except the director's cut of Donnie Darko, which, frankly, was not on my list. That particular movie is almost certain to receive a theatrical release, and I'd rather fight bunny-suited Donnie Darko geeks at a regular commercial engagement than a film festival audience that bought up every ticket in less than twenty-four hours. I don't know how I'm going to have the energy to see eight movies, mostly on weeknights, in addition to my work and my class and doing my homework, but I trust my love of cinema will sustain me. Bright Young Things (Stephen Fry- based on the Evelyn Waugh novel, with a heavy connection to those fascinating Mitford Sisters). Speaking of tickets, I was the only ticketholder I know who attended Belle and Sebastian's somewhat less than sold-out show at The Paramount last Wednesday (Elizabeth Adams, a friend recently arrived from Portland, was also in attendance, but as an inveterate scenester, she was on the list practically before there was a list). In my feverish excitement over the announcement of the show a couple of months ago (this beloved Scottish band rarely comes to the Northwest), I bought up four tickets at considerable cost the second they went on sale. My thought to myself: "Well, of course I know four people who'll be raring to go to this, and if not, it'll clearly be a sellout show, so I'll just sell off my tickets when I get there." This unfortunately came to the same anticlimactic and/or just pathetic end as so very many similarly wise thoughts to myself, resulting in my standing in the very cool Seattle evening air on the corner outside the Paramount before the show, eventually offloading two of the extra tickets at much less than face value. This was all due to my own overeagerness, which still rears its ugly head every once in a while when the temptation of pop bliss presents itself. As for the show, it was very nice, but rather sedate. This may have been because of my choosing to sit in the mezzanine, away from the roiling general-admission area on the floor below. It could?ve been the venue itself, which is a lovely old concert hall that begs to be sat or even lounged in, with applause or verbalization politely reserved for the moment following each number. It could be my own skewed perception; this kind of presentation is much more what a Belle and Sebastian show should be as compared to the one I saw them play at Portland's Roseland Theater on September 12, 2001. That event did sell out, the venue was much smaller and general-admission only, and the emotional turbulence led to a dazed but charged atmosphere. It was by turns ecstatic and mournful (you'd think the band's cover of "Turn, Turn, Turn" at that moment would've seemed schmaltzy or even inappropriate, but it felt exactly right), and it definitely stands as one of my all-time most memorable concerts. The band supplemented its careful, pristine sound (there were long setups in between, up to five minutes of personnel/instrument transition) by bringing along four backup violinists/string players, making for some lovely and surprisingly full arrangements of "Beautiful" and "Dog on Wheels." Another unexpected set-list entry was back-to-back performances of two non-album singles, "I"m Waking Up to Us" and "Jonathan David." The set was spread more or less evenly over the entire B&S catalogue, meaning it was remarkably short on Dear Catastrophe Waitress selections (a live rendition of "Stay Loose" was interesting, but if "Asleep on a Sunbeam"- the album"s worst track- is entirely skippable on record, how crazy were they to waste stage time on an all-too-faithful rendition"). My other, more predictable concert experience was jaunting out to catch The Thrills (the third time for me), who played their by now familiar set at The Crocodile Cafe on April 26. Everything was almost exactly the same, right down to the ?intermission tape? featuring ?Heaven Knows I?m Miserable Now? by The Smiths, ?Sun Meets the Sky? by Supergrass, and ?Look Inside America? by Blur. Although singer Conor Deasy (still enough a cutie that it?s probably worth the ticket price just to see him up close) said they?d been recording their new album for two months in L.A., the show actually featured fewer new songs: They did the ?Rosebud? one and ?Not for All the Love in the World,? both of which they performed last time, but they neglected my fave of the new batch, ?What Ever Happened to Corey Haim.? Still, the show had a nice energy, and they (and the audience) are apparently still passionate enough about the ?old? (So Much for the City) songs that they can easily get away with a recap show this one time. What?s really exploding my musical universe is the new Morrissey releases. It?s been seven long years since the spotty Maladjusted, but the man I?ve come to realize has been my spiritual father/older brother/imaginary mentor lo these many years has rewarded our patience with an album as good (if not quite so consistent) as the one-two punch of 1992?s Your Arsenal and 1994?s Vauxhall and I (the album I left home to), nearly perfect long-players both. The single is ?Irish Blood, English Heart,? the album is You Are the Quarry, the producer is Jerry Finn (who has worked with Green Day and Blink-182 and who brings a richly layered yet crisp sound to You Are the Quarry with a sonic strategy that was quite accurately described as ?spit-shine? by one of the music rags), and one instantly recognizes the songs to be much more melodically and thematically realized, impassioned, and engaging than almost anything from the two not-all-there records- 1995?s Southpaw Grammar and 1997?s Maladjusted- preceding it. The American version of the single comes in a little paper sleeve, the way all singles should, and contains all three b-sides (which are spread over two ?parts? in the U.K.). ?Irish Blood, English Heart? is Morrissey?s ?God Save the Queen? (?The Queen is Dead? was his ?Victoria?). It only takes him two and a half minutes to go back cover several centuries in his evidently imperative indictment of English racism, Oliver Cromwell and the royals succeeding him, and England?s entire two-party political system. It?s loud, fast, and unforgettable- one of his best A-sides ever. The B?s are pretty lovely, too: ?It?s Hard to Walk Tall When You?re Small? is another fast, catchy number, with Morrissey jumping to the defense of the little guy with a Napoleon complex. ?Munich Air Disaster 1958? is more interesting for its pretty, propulsive keyboard line than for Morrissey?s tragic hero-worship; it?s a fine little break in the EP, but doesn?t have enough in the way of fresh inspiration to stand on its own. The same cannot be said of the final track, ?The Never Played Symphonies,? which is a soaring up-tempo ballad with all kinds of great musical and lyrical ideas, achieving the sort of timeless, tuneful, emotional and witty capital-P Pop status Morrissey has always striven for (and often achieved). I had the deluxe edition of You Are the Quarry (with DVD included) on pre-order for months before it finally arrived this past week, so I didn?t feel the least bit guilty for snatching up a ?sneak preview? of the album via the magic of the Interweb. And hearing this batch of tunes was worth doing something ever-so-slightly illegal (though not, in my case, unethical). The lyrical themes are not a radical departure, nor are the melodies; the difference is that there is a renewed ardor here. Finn, Morrissey?s band, and the singer/songwriter himself all sound as if they?ve provoked one another to ever higher plateaus of zeal and zest. -?Come Back to Camden? 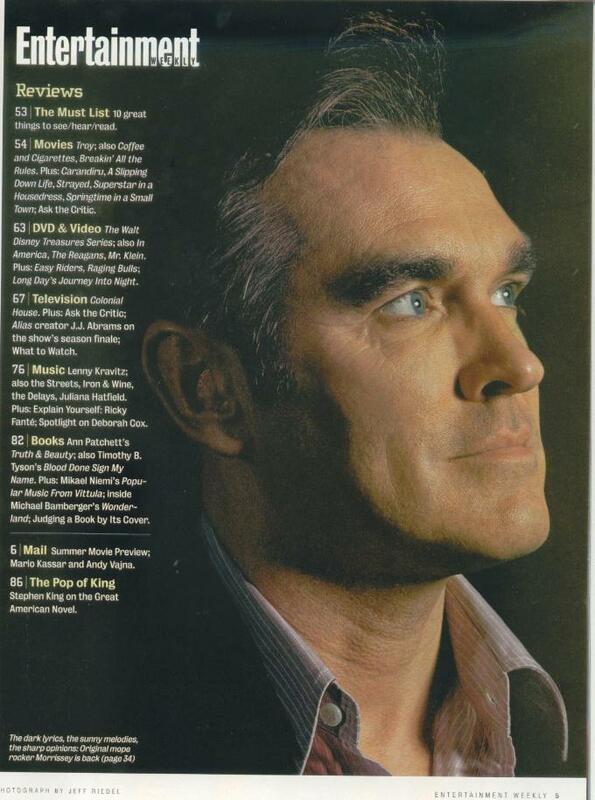 - This is the show-stopper, the centerpiece, containing the highest concentration of the best kind of Moz-ness. It?s a big, sweeping Technicolor ballad that has a dash of mordant humor at the beginning (?There was something I wanted to tell you/It?s so funny you?ll kill yourself laughing,? his never-richer tenor intones over a solitary, doleful piano/synth line) before the band sweeps in to carry him up the emotional escalator of tortured memory and a sense of loss before landing at the final plea for redemption- ?I?ll be good?- singing the song into our memory. This musical dynamic is very similar in tempo and strategy to Mott the Hoople?s ?Seadiver;? given that the big M is a big fan of the Mott the Hoople of that era, it seems a perfect balance between showcasing his big new sound and flashing his obsessive fondness for his favorite hits of yesteryear. It?s a rousing, moving classic on par with ?Speedway;? we had only to wait ten years for him to hit this kind of high-water mark again, but this one might just be worth a decade of anticipation. -?Irish Blood, English Heart? - A vitality-packed two minutes and twenty seconds of seething political/historical malcontent. See above. -?The First of the Gang to Die? - When he was playing this at his 2002 shows, it seemed obvious that it would be the first single (it will, in fact, be the next). It has a fantastically catchy vocal melody on both verses and chorus, and the music is pure pop pleasure. Out the left speaker comes a strummy rhythm guitar that, like Morrissey?s vocal performance itself, wouldn?t be at all out of place on one of your more upbeat early-?60s Motown girl-group recordings; out the right speaker comes a much fuzzier glam-guitar melody line that is exactly the flair needed to push it all into a top-notch tune. The lyrics tell the story of a young L.A. gangster named Hector, who lived fast and died young; it sounds predictable on paper, but in execution, it?s one of Morrissey?s most compelling and tuneful compositions ever. -?You Know I Couldn?t Last? 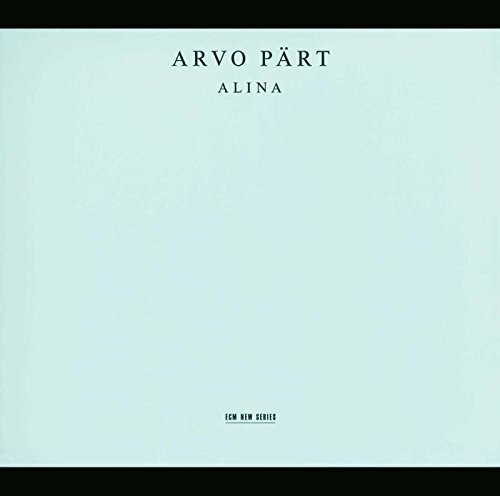 - Languorous, piano-driven verses give way to toweringly grandiose, guitar-driven choruses. It?s makes for a fine close to the album; it?s very much in ?Rock ?n Roll Suicide,? decadent-glam-ballad mode, which is perfect for a song about the trappings (! ), tortures, and vindictive, spiteful little pleasures of fame and fortune in the music biz. I can see some listeners finding this one much too self-indulgent and personal, but it?s no ?Sorrow Will Come in the End,? the rather limp complaint on the same themes that was tacked onto the U.S. version of Maladjusted. This one simply has much more to engage us with- more complexity, determination and bile that?s very apparent and audible in the aggressive vocals- and there?s a dimension of it that?s very self-mythologizing in a nearly tongue-in-cheek way, with a What Ever Happened to Baby Jane? quality that makes one imagine Morrissey resplendently griping from the Hollywood hills, shaking his fist and muttering at anyone whom he?s ever suspected of trying to drag him down. -?Let Me Kiss You? - The much-discussed version recorded by Nancy Sinatra has yet to appear, but this is light-Moz-pop at its glorious best: seemingly straightforward, even simple; very, very hummable, and he twists the knife in later (it goes from ?close your eyes/and think of someone you physically admire? to ?But then/you open your eyes/and you see someone that you physically despise?). It?s a sweet, sad song resonates further upon each subsequent listen. -?All the Lazy Dykes? - A squiggly, ornate Brian Eno-like analog synth gurgles along in between the lilting, melancholy guitar tune as Moz sings a Sapphic lullaby to a friend trapped in an unfulfilling marriage and evidently suppressing her lesbian side. He invokes the name of one of L.A.?s oldest lesbian bars- ?Free yourself/Be yourself/Come to The Palms and see yourself?- before surging into the hope-filled final assurance: ?And at last, your life begins.? The song?s sentiment recalls ?Driving Your Girlfriend Home,? one of not too many high spots on Kill Uncle, but this time Moz?s bad-relationship shoulder-crier is sent away with much more reassurance. ?I Have Forgiven Jesus? - I love the old-fashioned organ-sounding keyboard melody (which also reminds me of Rialto?s ?Summer?s Over? ), and this one, like so much of the rest of the album, has a great propulsion and lyrical precision to it. Being mad at whatever god you were raised (and later became disillusioned) with because humans seem to have invented gods to torture themselves and others is old news, but a clever turn of phrase and a dash of sideways humor (?I was a good kid/Through hail and snow/I?d go/Just to moon ya? ), Morrissey-style, render this one decidedly worthy. -?I Like You? - Fairly slight, but much more fun and not nearly so boringly benign as we all thought when we heard it at the ?02 shows. What should be a very one-dimensional emotional impulse becomes a statement of defiant complicity (my favorite bits are the falsetto-ing ?Magistrates/Who spend their lives/Hiding their mistakes/They look at you and I/and envy makes them cry, envy makes them cry,? also ?You?re not right in the head/And nor am I/And this is why... I like you?) belted over rip-roaring guitars and some shocking- and refreshing- production touches, including an almost dance-y synth/drum pattern that sounds very punk-rock, considering the source. -?The World is Full of Crashing Bores? - I agree with this, maybe more than most. Yes, Morrissey is launching a one-sided attack on the many, many beneath-contempt persons he finds our planet to be packed with. But- and this is what keeps the song on-balance, funny, and even a little touching despite itself- he turns those admirably, impossibly high standards back onto himself and his worry over not living up. Production sounds great until the end, where I dock it a point for trailing off instead of ending on the aggressive bang of the live version. -?America is Not the World? - I submit that the lyrics, which have been unanimously pronounced ?ham-handed,? are that only on paper. As sung, they?re much less blunt and much more on-target; there?s something of the difference between the screenplay and the film in the difference between the lyrics as read and the lyrics as expansively sung by Morrissey. The music and lyrics shift through emotional phases; it makes for something of a moody, contemplative album-opener, but its cumulatively expressed love-hate directed at the Empire seems particularly timely in light of recent events... of the past four years. -?I?m Not Sorry? - This one really is slight, though very ?listenably? so (?listenable? somehow being Morrissey?s preferred term for this album, and though I think I know what he means, it seems a very odd, rock-critic-slang term to use). Morrissey quietly and determinedly refuses to apologize but hopes you?ll still find it in your heart to reach for his hand as he drowns. Then, a very pretty flute swoops in. As space-fillers go, you could do much worse (and he has). -?How Could Anybody Possibly Know How I Feel?? - The album?s one clunker; it does pick up a little bit at the end with the keyboard bit, but the lyric is one-dimensional and, compared to the acuity of the rest of the words on the record, rather bland. It usually seems a false accusation when people talk about Morrissey being just a diarist of misery, but this one lives up to that sort of predictability. Without it, the album would be damn near perfect. As to the sleeve: I?ve always preferred The Smiths? single/album sleeves to the Morrissey ones, but this new one- in which a formally-tailored Moz holds a very anachronistic-looking machine gun erect- has a gaudily menacing, Luke Haines-ish quality to it that I find very appealing, much more so than the rather drab post-Vauxhall album sleeves (though some of the single and compilation sleeves- notably ?Satan Rejected My Soul? and My Early Burglary Years- have had a nice touch or two). The actual logistical design itself is rather nice, too; unlike most cardboard CD packaging, this one is perfectly square and is, in effect, an exactly miniaturized LP sleeve. It's like having the correct aspect ratio to a film; a detail that lends the experience as much fidelity to the creative vision as possible. My only complaints are the lyric-sheet foldout, which includes a full-page reproduction of that Attack Records insignia but is, like all foldouts, cumbersome; a booklet would've been nice. Also, as Jamie S. Rich points out, there is a good deal of wasted space in the gatefold; the two solid blocks of yellow on the interior could've been something more interesting. 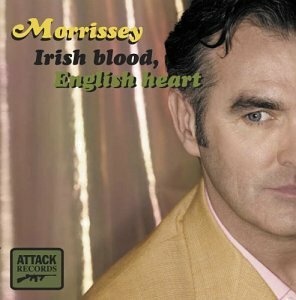 The DVD contains Roman Coppolla's video for "Irish Blood, English Heart," which is good as videos go, as basic but elegant as expected as Morrissey videos go, and significantly more enjoyable than Coppolla's other videos or his curiously well-regarded feature, C.Q.. It is, somewhat skimpily, the only thing on the DVD that actually plays; there's a gallery of rather lovely stills and a completely pointless "interactive" lyric sheet you can look at on your television screen in case the paper version hasn't sufficed. Still, the video does count as a "bonus." Postscript: As I?ve been writing this, I?ve received the latest Entertainment Weekly, which tempts the reader with ?Morrissey? printed in the upper right hand corner and rewards us with a four-page (including solitaire-playing full-page photo) interview article inside. It?s my notion that this inclusion is a much bigger deal than the Spin cover. Because Entertainment Weekly, as relatively smart and tasteful and relevant as it is, easily falls into the ?general interest? magazine category, I?m guessing it has a much larger readership than Spin (it even seems possible that more people read EW than watch Craig Kilborn?s show, where Morrissey will be musical-guest-in-residence every night the week of May 24). There?s the aforementioned lovely full-page black and white photo, an interesting interview, and the writer seems to have much more insight into the bigger picture of Morrissey?s aesthetic than the writer for Spin, who was still fixated on Morrissey circa 1984 and had him shoved into that easy miserable-diarist pigeonhole. Which, as the man himself says, is a perception for those who know of him but don?t actually listen to him. Post-postscript: According to numerous web and e-mail reports, ?Irish Blood, English Heart? debuted on the Billboard singles chart at number 4 this past week- the highest chart placing ever for a Morrissey single. This is unequivocally good news; it?s very clear that, while maintaining a rather fierce commitment to his singular and idiosyncratic world view, Morrissey has never considered himself any kind of ?alternative? artist; he?s not one to hide his light under a bushel, not by any means, and he?s always seemed to resent the fact that he?s always created what is very much intended to be pop music, yet the pop establishment has consistently failed to give him his due. Full disclosure: I?d originally thought of calling this blog Heavy Words Lightly Thrown, the same name with which I branded the Morrissey fanzine I published about nine or ten years ago, when I was eighteen: A self-motivated and self-indulgent venture which indirectly led to what one could generously think of as my writing ?career?. My ?zine- photocopied, stapled, produced in a vertical flip-book style necessitated by my inadequate computer/graphic design skills- was really nothing more than the rantings, ramblings, and scrapbookings of an alienated young gay man who had taken Morrissey?s worldview- the wisdom, the tenderness, the humanity, the bile, the humor- as his guiding light. I amassed a fairly large number of issues- undeveloped self-editing skills makes one proliferative- the remaining copies of which are kept safely hidden from all eyes but my own. I have changed in innumerable ways since then; the person who wrote so lovingly and in such an engaged, passionate, often clumsy way about the world of Morrissey (and The World of Morrissey) is no longer me. But that curious and skeptical eighteen-year-old with the wet-cement personality is still recognizable to me as the germ of the person I am now, and writing about this excellent new album feels like coming full circle. It?s a very optimistic feeling, and this is not the first time Morrissey?s given that to me. This item would?ve been perfect for Heavy Words Lightly Thrown: Morrissey has included a performance of classical composer Arvo Part?s Tabula Rasa as part of his selections for this year?s Meltdown festival (which he?s guest curating). In an odd but encouraging coincidence, I had just used my Borders gift card- a birthday present from my brother and sister-in-law- to purchase Part?s Alina, which includes pieces used heavily in Tom Tykwer?s Heaven and Gus van Sant?s Gerry. It?s basically a suite (I don?t know if that?s the technically correct term) of five rather long pieces, but in Heaven, particularly, long excerpts provide a musical propulsion and aural beauty that really feel as though they were designed with the film?s particular themes and characters in mind. The quiet but steady motion of these highly repetitive, highly melodic pieces are truly cinematic and also make a great soundtrack for life (even when life contains way too much goddamn remedial math homework). Highly recommended not only by Morrissey and Tom Tykwer and Gus van Sant, but by yours truly, as well.